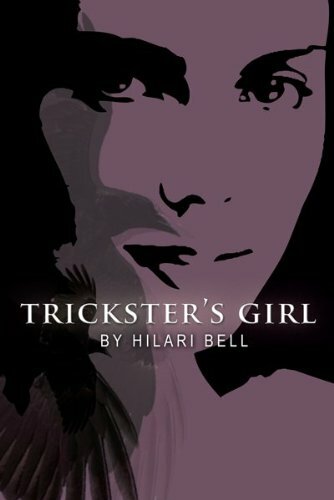 Trickster's Girl was unlike anything I've ever read before. The story is set in the United States, in the future. The futuristic setting with the accompanying electronics reminded me of Scott Westerfeld's Uglies series. I enjoy reading stories set in the future. The story is heavy on dialogue, which I'm not a fan of. There is; however, a lot of descriptive narration about nature: Kelsa and Raven are traveling across the northern US to heal the ley lines and reverse the damage a tree plague has caused around the world. This story did not end how I predicted it would---but that was a good thing. I love to be surprised! 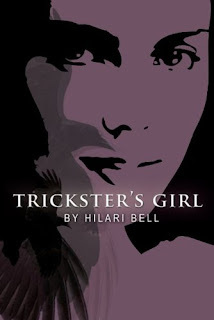 Trickster's Girl is heavy into action, nature, and magic. Kelsa is running for her life for a lot of the book, which makes the story move quickly. Readers looking for a typical YA love story will be disappointed. This was a good read, but not one of my personal favorites. Fans of the Uglies series, The Hunger Games, and the Harry Potter series will like this one. I will definitely read more by Hilari Bell in the future. The ending was not in line with Kelsa's true nature, in my opinion. I liked the way Bell does not conform to the typical YA plot. How interesting. I'm not a huge fan of futuristic settings, but I loved Uglies so I very well might enjoy this one. Thanks for the review! I'll keep my eye out for it. Thanks for the comment Alison. If you liked the Uglies series you'll like this one too. It reminded me of Uglies a lot, in a good way. Hmm, I just got this one for review. I am actually a big fan of dialogue, so I will have to see what I think!